Cider Mill Press, 9781604337235, 176pp. 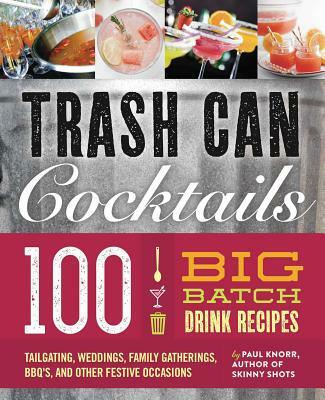 When a punch bowl or a pitcher just isn’t enough…go big or go home with over 100 crowd-pleasing recipes in Big Batch Cocktails! Perfect for Tailgating, Weddings, Family Gatherings, BBQs, and Other Festive Occasions! Don’t let the well run dry—keep your guests’ whistles wet with over 100 drink recipes in Big Batch Cocktails. Full of colorful photography and clear, simple cocktail recipes, this party-planning necessity includes tips to make every gathering a smashing success. This is the go-to reference book for those occasions when you need high volume without sacrificing quality or creativity. Whether you’re hosting 15 or 50, Big Batch Cocktails will help you finesse the fine points of mixing up the perfect jumbo batch of liquid cheer. No need to fall back on those old, moldy standbys (step aside, you White Russian fans) when you have Big Batch Cocktails at your fingertips.